********From our NEW quick shipping line, your order will ship quickly within 3-5 business days. Your order will ship standard mail and will arrive to you within 3-7 business days once shipped. For sale is a SET of 4 wood coasters with a deep walnut finish (please note these have a walnut finish and are not created from walnut wood). Custom made to order, pick any one initial you would like. 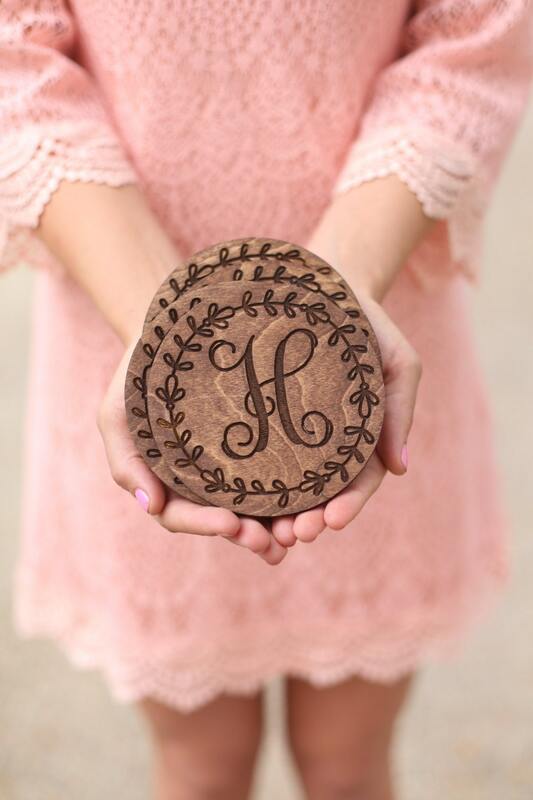 Gorgeous set of four wood coasters makes a beautiful wedding, bridal shower, anniversary, housewarming, and/or Christmas gift! 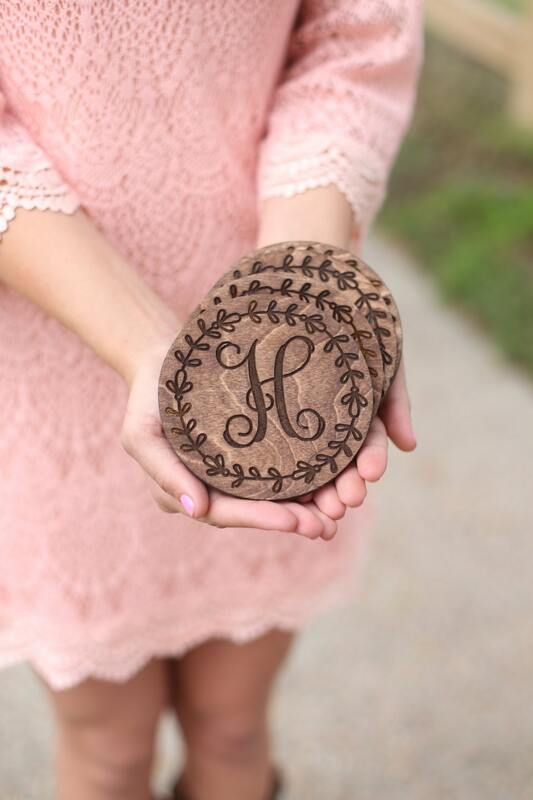 Set of 4 wood coasters. Each coaster measures about 4" x 4" x 1/8" thick.